Yahoo! It is going all the way up to fifty degrees today. The early morning walk with hubby was quite cold but this afternoon’s walk with Marshmallow should be quite nice. It has been so cold here for so long that I am not even sure I know what normal temperature for this time of year feel like. Now if we can only have semi normal temperatures from here on out it should be a cake walk. How has your weather been? Is it colder than a well diggers a&%? 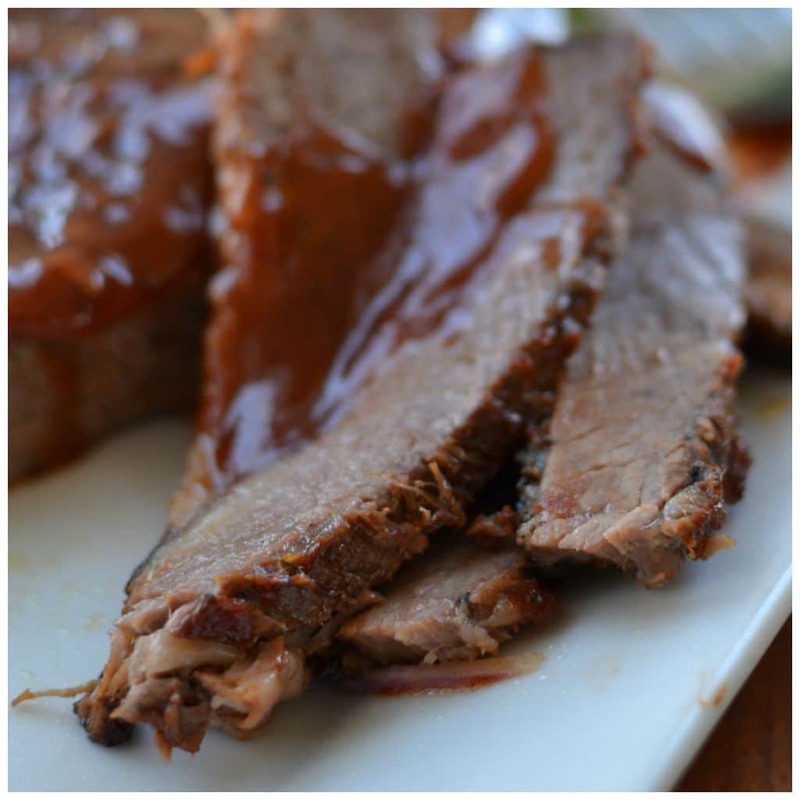 Oh my goodness it is too cold to grill so put this amazing Oven Baked Barbecue Beef Brisket on your to do list today. 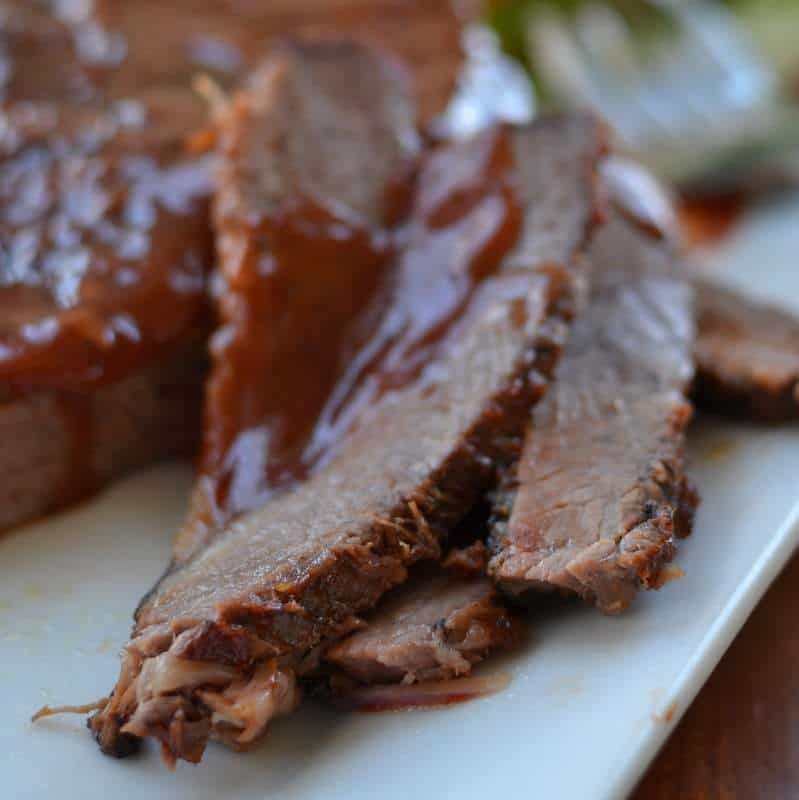 This simple recipe turns a beef brisket into mouthwatering goodness! Have you tried any of my other comfort food recipes? One Skillet Savory Beef Tips and Gravy, Crock Pot Chuck Roast and Vegetables and Fall Off The Bone Beef Short Ribs are just a few family, friend and reader favorites. There is nothing like a little comfort food to warm up your frozen tundra (no pun intended). This delicious Slow Cooker Salisbury Steak from Dinner at the Zoo is a fellow blogger comfort food family favorite. 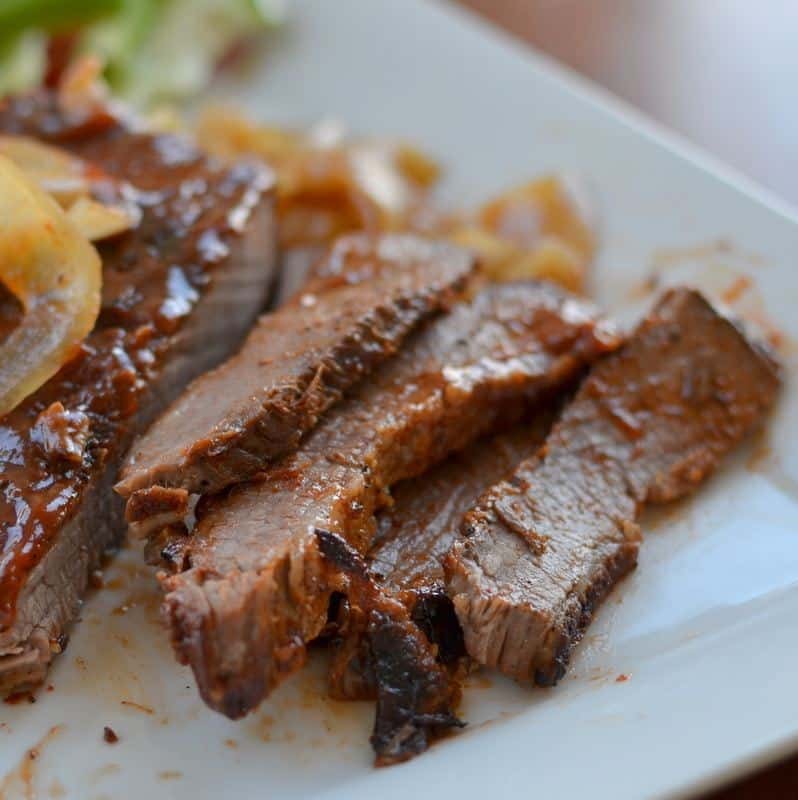 This Oven Baked Barbecue Beef Brisket is a combination of sweet onions, barbecue sauce, a little beer and a few easy seasonings that you probably have on hand. Don’t worry if you don’t have any beer on hand or don’t want to purchase any just replace with beef broth. You can serve this with potatoes or on fresh baked rolls with a garden salad on the side. On a low carb diet? Skip the bread and just put your brisket right on your salad. Delicious and simple!! 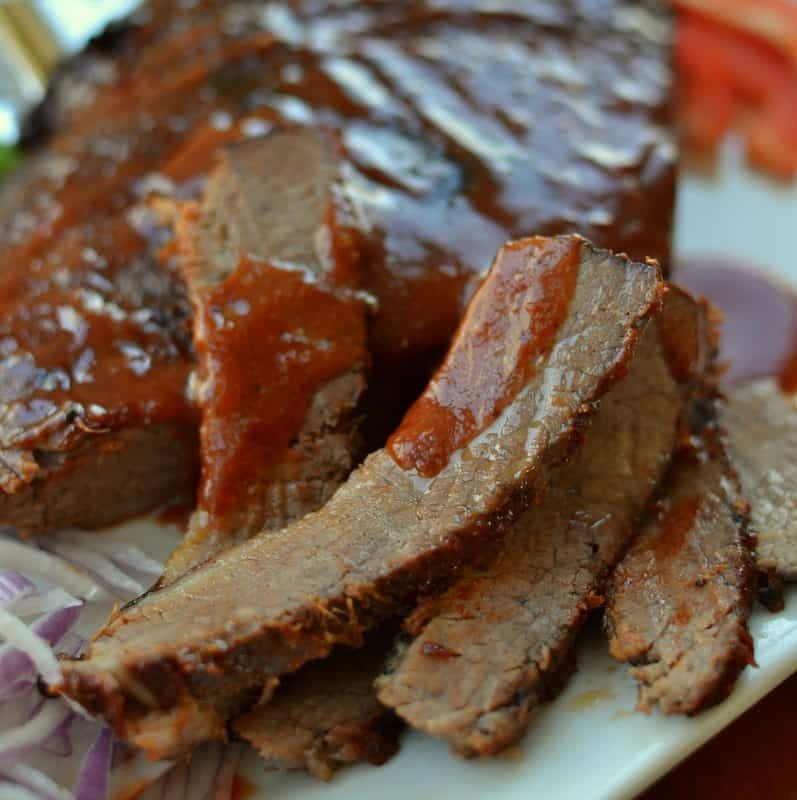 Oven Baked Barbecue Beef Brisket is perfect for parties, game day or just a fantastically easy Sunday meal. Bake some today and thaw out your frozen tundra! In small bowl mix together brown sugar, paprika, cumin, black pepper, salt, onion powder and garlic powder. Rub all over the brisket on both sides and let sit for 30 minutes. Preheat oven to 300 degrees. Place brisket in large roasting pan (with fat side down) and cover with sliced onions. 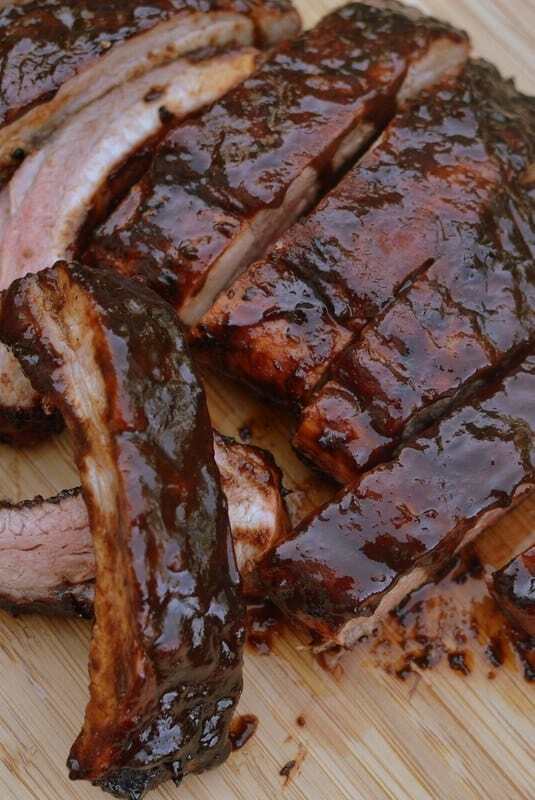 Pour beer and barbecue sauce over the top. Cover well with aluminum foil and bake for 3 1/2 – 4 hours. You can check to see if the brisket is done by slicing off a small piece of the edge and seeing if it comes apart with a gentle tug. 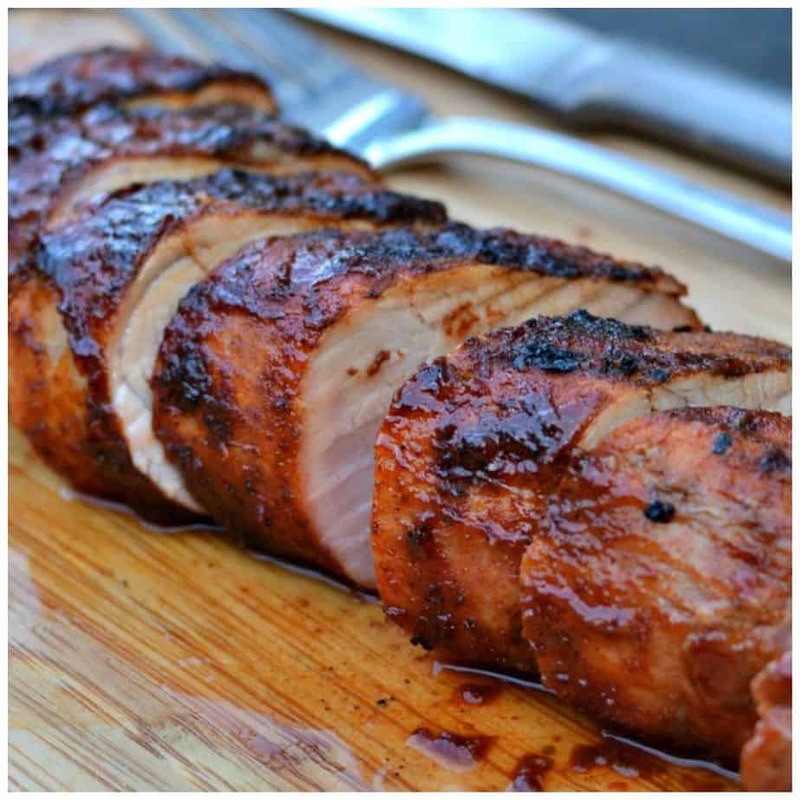 Remove from pan, trim any excess fat and brush with barbecue sauce and place under broiler or on grill for 1-2 minutes. Flip and repeat for the other side. Stay close by as broilers are unpredictable. Slice tip off and slice against the grain at a perpendicular angle. If desired serve with extra barbecue sauce. Other recipes you will love!